Over 315 new Pokemon shown, including newer evolutions of pre-existing Pokemon. These are concepts arts obtained from a REDDIT article. These are so awesome! Is it ok if I use a few of these concepts for my own Region? why do these pokemon not exist!? Apey is SO CUTE! Thses ARE EPIC! 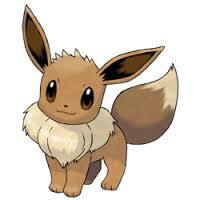 Of these Eeveelutions, which doesn't require the use of a evolutionary stone on Eevee?